First, a talented child; then the King of Pop; and in the end, a public spectacle, Michael Jackson was undoubtedly an icon. 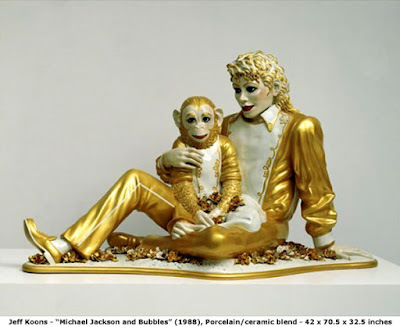 Above is Jeff Koons' rendering of MJ with his favorite marsupial companion, Bubbles (from UR Chicago Magazine). If you've been following my blog, you know by now that I have a tendency to wait til the last minute to visit my must-see exhibitions — and today is no exception. So when I saw that the famed Chelsea gallery, Pace Wildenstein, was showing Chuck Close's paintings and tapestries, I knew I had to go — even if (or especially because) it was the last day. I might also point out that "Chuck Close blows my mind," as previously reported in the post entitled Potpurri... and that one of my favorite photos on the blog shows my friend, Stephanie, up close with Chuck Close. I first learned about his work in high school art class (thank you, Ms. Keeley), so my familiarity with the artist originally drew me in as a fan, though my interest has since progressed to true awe and admiration. I have to say, good old Chuck lived up to my expectations and more. His work is amazing. 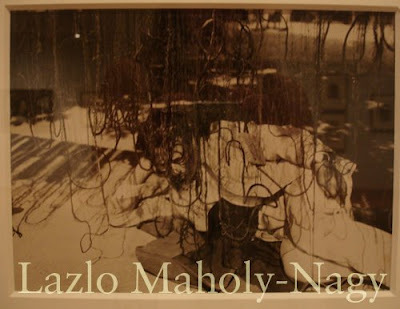 The black and white photos are TAPESTRIES(!) woven with digital technology on a Jacquard loom. Close truly is the master of portraiture, and my best descriptor remains: "mind blowing." Pardon my extreme slacking this week, I've had a lot going on! I haven't had time to post about my most recent visits yet, but I promise, they're coming. I just happened across this photo from about a month ago when my mom was visiting. 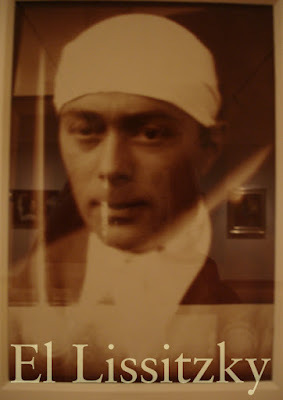 From the current exhibition, The Lens and the Mirror: Modern Self Portraits from the Collection, located on the north mezzanine gallery in Modern Art. I chose these guys because I remember studying them in History of Graphic Design — design is something I am still avidly interested in, despite my recent focus on fine art. 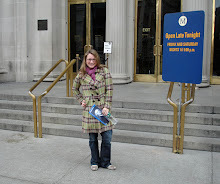 I've visited the Bacon exhibition at the Met several times, starting with the member preview day. It was one of those things that I needed to revisit and spend time forming my opinion. Francis Bacon: A Centenary Retrospective chronicles the painter's prolific (and horrific) career from his early dark, lonely figures placed over solid blocks of color, to the obsessive renderings of Velázquez's Pope Innocent X, to deeply personal portraits of friends and himself. The exhibition opens with a brief description of the artist and his career, which ends with this quote by Bacon: "Paint comes across directly onto the nervous system." At least for Bacon's ghastly pieces, that's true. I couldn't help but feel like the isolation, sadness, confusion, fear, and anger were bursting out of the canvases into my heart. It's hard to describe, but the first couple galleries contain these paintings that, regardless of whether they're aesthetically pleasing, evoke a strong emotional response. They were captivating. There's the famous Painting (1946) of a shadowy figure crowned with a black umbrella with carcasses strung behind in a crucifix configuration; a painting of a dog within a red hexagon who is vigorously shaking his head, and you can almost see the movement; the Study of a Baboon, again shaking his head while, this time, screaming, mouth open, its fur a transparent grey with hints of teals and purples. Bacon studied and mastered painting the mouth, which appears in each of these paintings. As I took in each piece, each series, each subject, I thought, "Never is a work of art more impressive than when it is accompanied by its peers." These are pieces created by the same artist, through the course of his career, that either contain the same (or show changes in) their elements of style and composition, but always elicit an emotional response. Regardless of whether that emotion is disturbing or pleasing, Bacon's mastery is clear. I read an article that said Bacon demanded that all his paintings be shown behind glass. Knowing this was his intention really made me think about its effect on the works themselves. The glass literally puts the viewer inside the paintings, particularly in the solid washes of color in the background. In addition, not only are the viewers reflected in the glass, but the whole gallery too, including other paintings, adding a dimensionality especially for those interrelated pieces like Pope Innocent, and the portraits of Dyer. And, curiously, the glass both downplays and enhances the texture on their surfaces. Almost all of Bacon's paintings have a similar rough texture, which gives them dimension with its varying thickness, contrasting with thinly applied washes of color on some. Overall, the exhibition provides a comprehensive represenation of Bacon's work in context with his life (the George Dyer paintings are the clearest example). 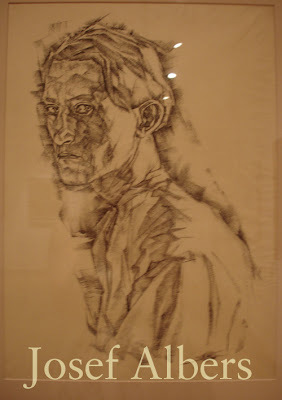 Though the disturbing and ugly subject matter isn't for the faint of heart, the Bacon retrospective is fascinating. New York Times review and slideshow. Below is a video of Francis Bacon talking to David Sylvester in 1966. 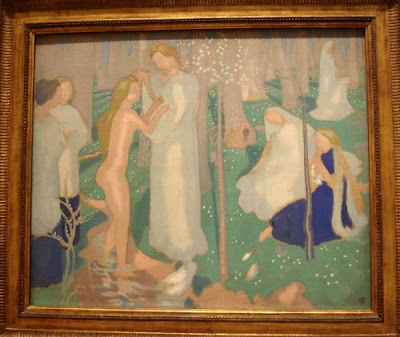 The gorgeous weather in New York City today reminded me of this lovely painting, Springtime by Maurice Denis. 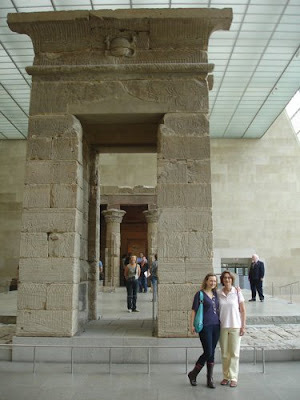 As I frequently do, I visited the Metropolitan Museum of Art with a friend today. We meandered through the galleries, taking our time, with no real course of action, starting with the American Wing. After four hours, we finally called it quits, and yet I only got one good photo. Ah well, sometimes you just have to enjoy it in the moment! 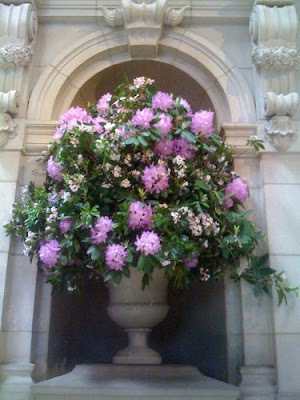 For photos of the American Wing renovation in progress, visit the Met's flicker page. Happened upon these cute little tykes in uniform sitting below the Met's Monets in the 19th-Century European Paintings Galleries. 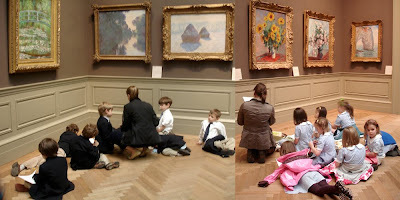 I especially love to see kids engaged in art—I believe that instilling a passion for art in children and the general public is one of the greatest purposes of the museum, and this is living proof. 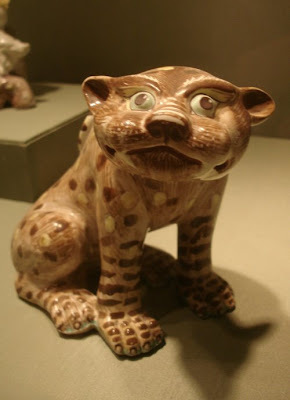 Children's view of art provides a fresh, innocent perspective often allowing the essence of the piece to shine.